Thanksgiving came and went. Canadians from across Canada enjoyed spending time with their family and friends on Thanksgiving Day. Although it is nice to host a Thanksgiving dinner and have your family and friends over – it is downright expensive too. The average cost of a frozen turkey is $2.92/kg. Depending on how big your turkey was – the cost of your big bird was a costly one. And if you factor in dinner sides and dessert – you had a really pricey meal. “I understand it can get easy to get caught up in the spirit of Thanksgiving and spend beyond your means however once the entertainment value wears off – you’re faced with reality,” says Jeffrey Schwartz, executive director, Consolidated Credit Counseling Services of Canada. “And when reality hits, take a step back and assess the situation. If you over did it at Thanksgiving this year and spent too much, look ahead and make the decision to not take on any more debt the following weeks and months,” says Schwartz. Make a list and check it twice. Understand how much money you owe by creating a detailed list of all of your debts. On this list, total up your monthly payments and include your interest rates as well. This will give you a clear understanding of your debt load and which debt is costing you the most. Seeing a detailed list of what you’re up against may even encourage you not to take on anymore debt. Categorize your debts. 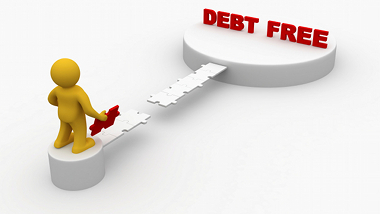 Have an understanding of your debts and rank them from the most to least important. In other words, the debts which affect your livelihood are the most important followed by the least important. A mortgage payment would be your first priority over paying back a friend you borrowed money from. So rank and categorize your debts so you have an understanding where your priorities should be. Tackle your debt. Create a plan to gobble up your debt for good. The key to managing your debt is to have a realistic goal to aspire to. You may plan to put down $100 on your debt every two weeks or you may decide to do more. Look to your budget to determine what you can realistically afford. Seek credit counselling. Sometimes debt can be downright stressful and overwhelming. Don’t worry, you are not alone. Millions of Canadians struggle with debt daily however there’s hope to get your debt management under control. Seek the advice of a trusted financial advisor and your life will change forever. Debt can happen so quickly – literally in the blink of an eye. You can grab your debt by the horns by learning how to spend within your means and refrain from taking on anymore debt. If you are in over your head with your debt, you can speak to a trained credit counsellor now at 1-888-294-3130 or go online to complete a free debt analysis.